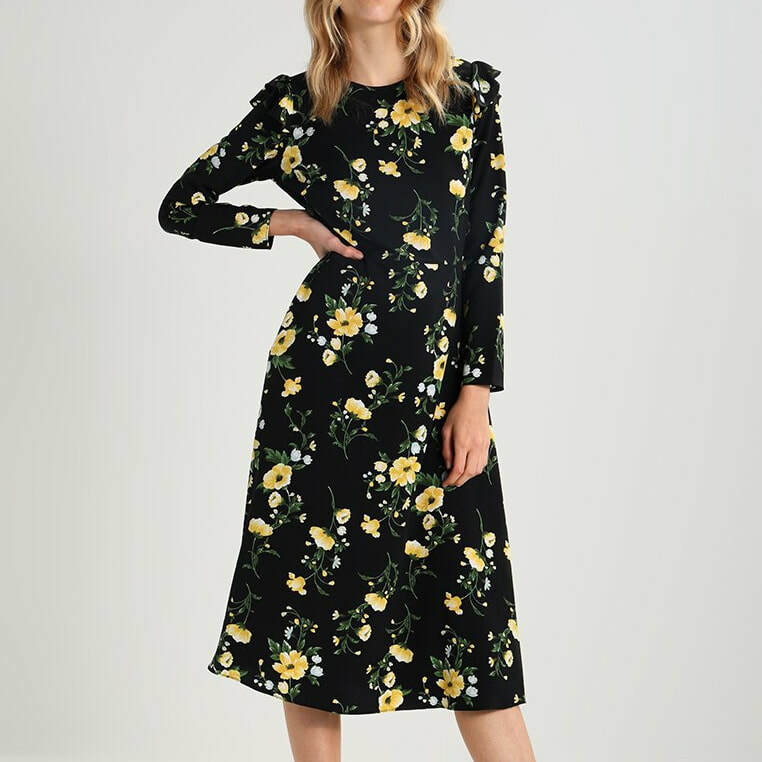 From the Orla Kiely L’Orla Resort 2018 capsule collection, done in collaboration with stylist Leith Clark. 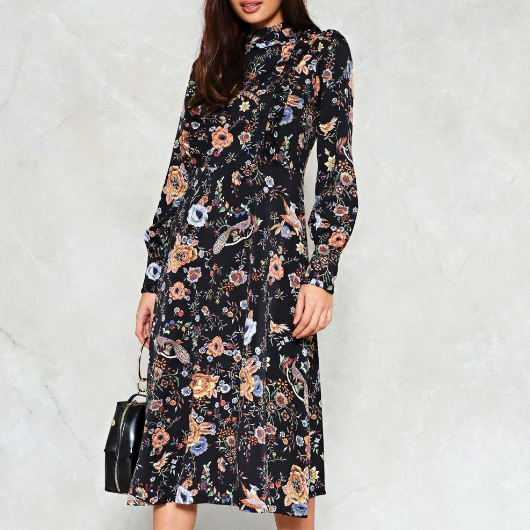 Cut to a flattering figure-skimming fit and constructed from mid-weight viscose fabric, the dress features an eye-catching floral print throughout. 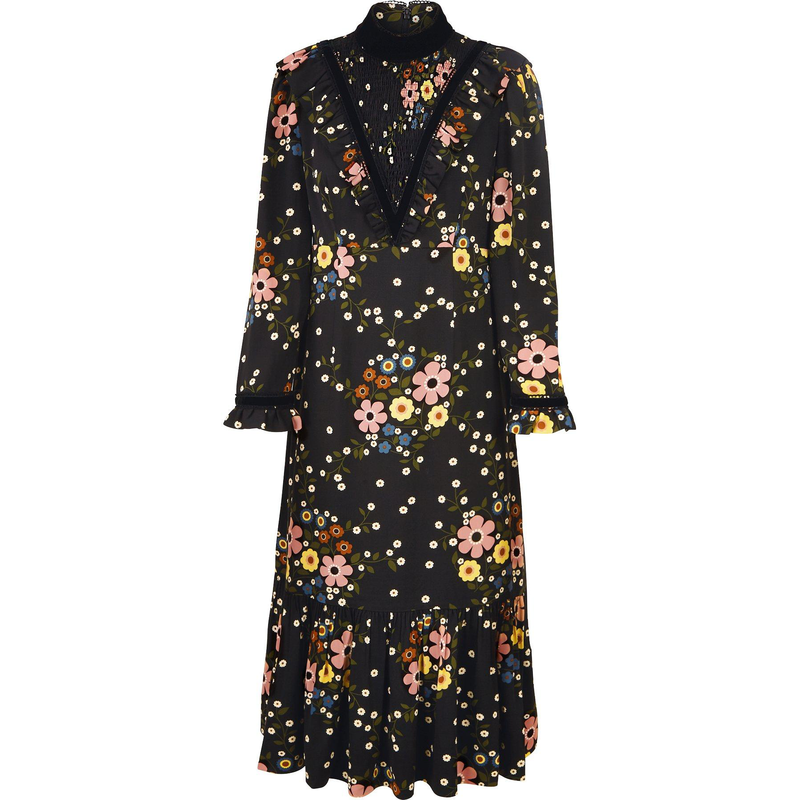 It has Victorian-era elements such as a high neckline with a soft velvet band, and a smock front panel with ruched detailing and a soft velvet trim. 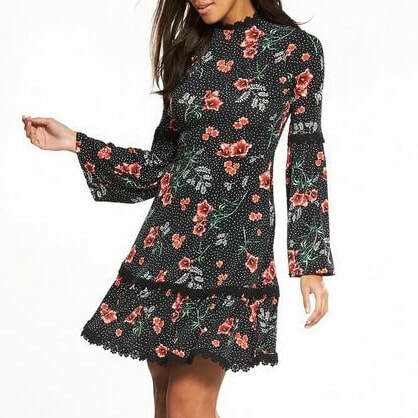 The velvet trim continues around the ruffled long sleeves. A duster hemline finishes the design. 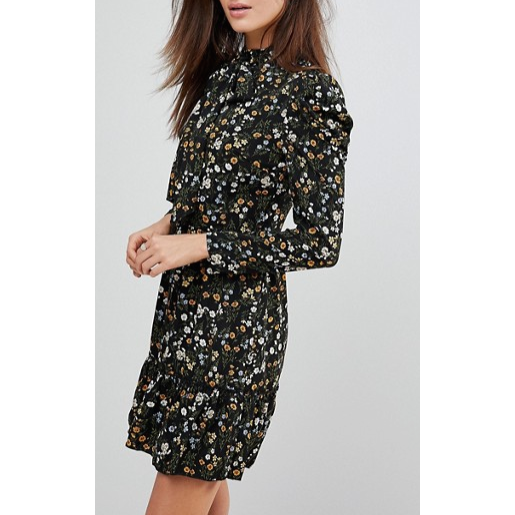 STYLE FILE: Leith X Orla Kiely Margaret Smock Bib Floral Print Dress as seen on Kate Middleton, The Duchess of Cambridge.